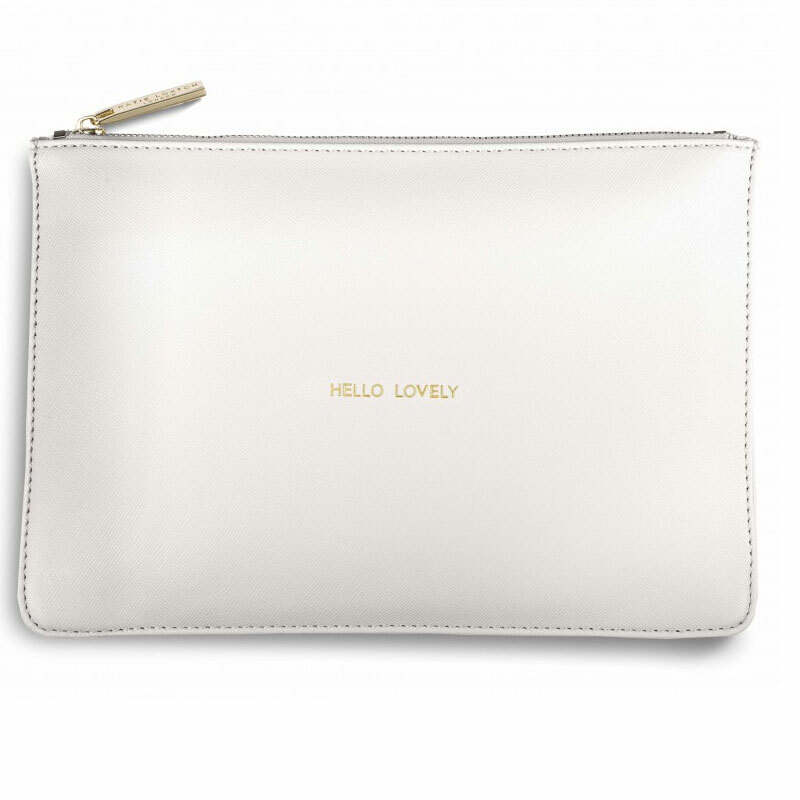 Katie Loxton 'Hello Lovely' Clutch Bag in Chalky White design provides a perfect super lightweight pouch for organising make-up and jewellery. Katie Loxton range of fashion accessories are a popular ladies collection that brings stunning summer season class. 'Hello Lovely' in gold sentiment lettering is the simple message that finishes this perfect compliment for any summer outfit.